Sunset Point is the new location for Driftwood and Sand 2019. Imagination and creativity will run wild in as usual next week as part of Hokitika beach is transformed into an untamed sculpture gallery, but for the first time in 17 years the location will be different. The Driftwood & Sand Beach Sculpture Festival, running from Wed 23 to 27 January, will be business as usual with professional and budding artists working side by side turning driftwood and other materials they find on the beach into art. Festival originator, Donald Buglass. says that with a distinct lack of wood and sand at its usual location at the end of Weld Lane organisers have decided to shift its location of the event centre to sunset point where there’s still ample supplies of the necessary ingredients. “It's a changing world and the beach is environment and we need to change with it” says Mr Buglass who always love the beach as a child and saw Hokitika’s driftwood-strewn beach as the inspiration for a community art celebration. 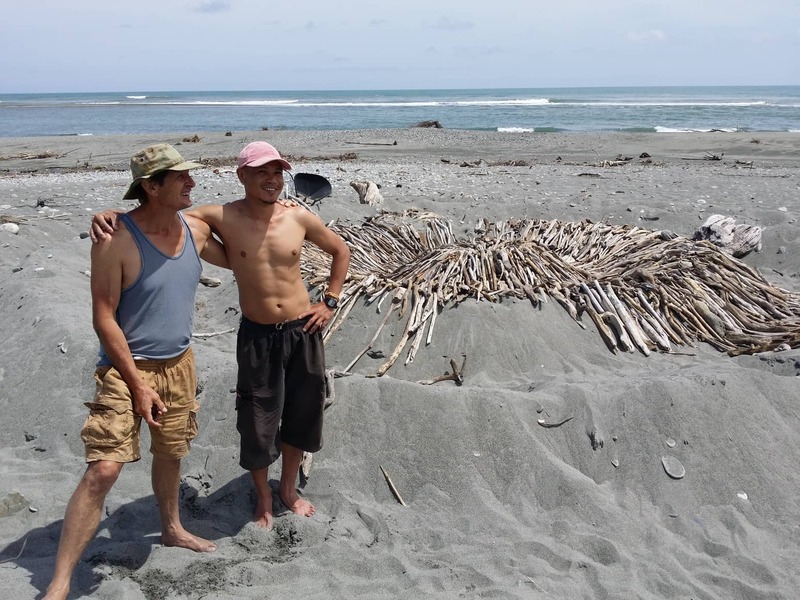 “This year”, he says, “Driftwood & Sand is also fortunate to have international nature artist Lee Kuei-Chih (Chris) from Taiwan as an artist and judge.” Chris has already started to make a large installation at sunset point so he has time to judge next week. Chris will judge will decide the winner of the overall, junior, most natural and most avant-garde categories with the public voting on the most humorous and public choice winners. As in previous years Donald will produce a signature sculpture to kick off the event. The festival is run by a keen group of volunteers and attracts entries from young and old, professional artists and lay people. In some years up to 70 sculptures have been made on the beach.